What interesting thing are you going to do with your lemons? You have heard it said, that when life gives you lemons just make lemonade. 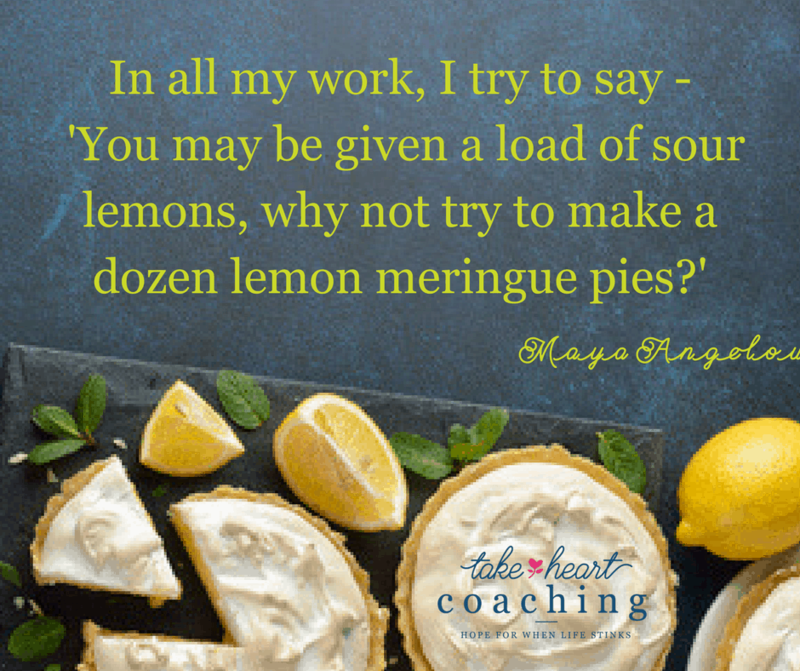 I found this quote by Maya Angelou and I like it even better, after all I love lemon pie. It seems that some people find it easier to make something of the lemons of life than others do. Lemon meringue pie, lemon bars, lemon shortbread cookies or lemonade, it isn’t important what you make. It is important that you learn to make the best of the lemons life hands you. The best way to do this is to Change Your Thinking! I can see your eye roll now. I know it sounds too simple. But think about it…..
We have all experienced something difficult in life at the same time someone we know or love has been right there experiencing it too. Did you both respond the same way? You had the same parents and upbringing as your sibling/s, do you remember it the same way? You and your coworker lost your job the same day the business laid you all off and closed its doors. Did you rebound the same? Why is the same event experienced differently? When life hands us a lemon the questions we ask ourselves will determine what happens next. Marilee Adams, PHD says that the questions we ask ourselves determines our actions and finally our results. I’m not saying just think positive and everything will be fine. I have lived life too long to believe it is that simple but I do think how we think is an important part of learning to live with peace and hope no matter what life brings. So what interesting things are you going to make with you lemons? Do you need some help learning to think differently about life’s lemons? Don’t miss my upcoming opportunity to learn more about how your thinking impacts your relationships and success at work. 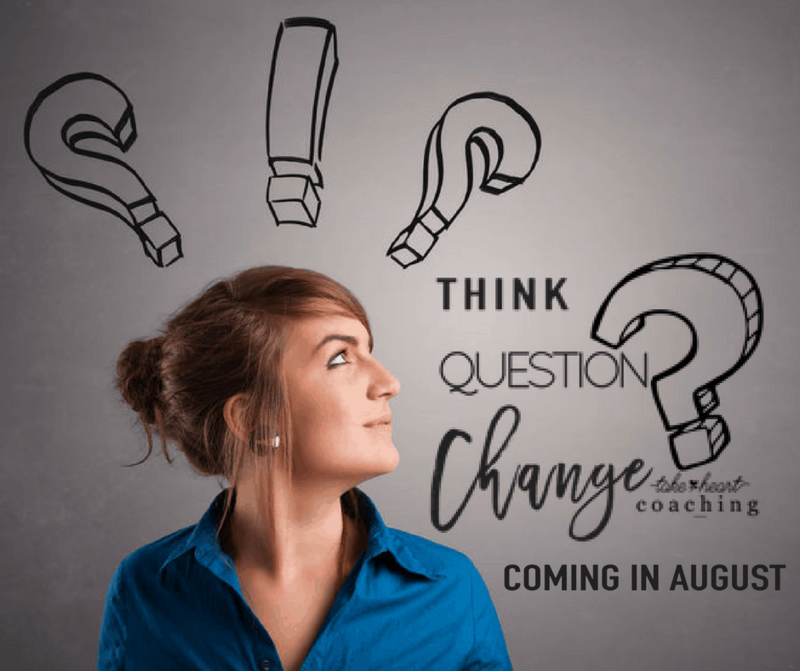 I would love to have you join me as we explore Marliee Adams, PHD concept of Question Thinking during the month of August. I will be highlighting Question Thinking and then offering a workshop opportunity on how to make this powerful shift in your thinking. Be sure to like and mark Take Heart Transitions as see first on Facebook .